Marina Timofeyevna Semyonova was born in St. Petersburg on 12 June 1908 (30 May old style). She lost her father in early childhood and her mother allowed her on the advice of her friend to take part in an amateur dance group. 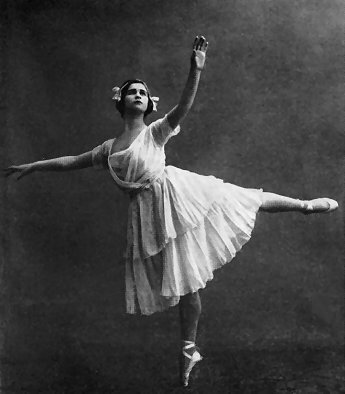 At the age of ten she found herself auditioning for a place at the Petrograd Ballet School in front a committee of judges including the great Vaganova herself. She was accepted and became one of Vaganova's pupils. 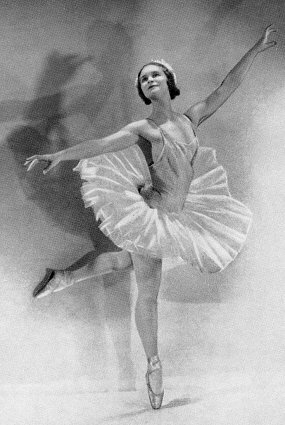 Her graduation in autumn 1925, in which she danced Naila in La Source was a great success and she was heralded by the critics as a real successor to the great Imperial ballerinas Pavlova, Trefilova and Karsavina. In her first season in the theatre she danced the secondary roles of Princess Florine in Sleeping Beauty and Queen of the Dryads in Don Quixote showing that she had the immediate markings of a true classical ballerina. In this light she was entrusted with Odette-Odile and Nikiya the following season. Over the next four seasons she was to increase her gallery of classical heroines at the Kirov-Maryinsky to include Aurora, Kitri, Aspicia in The Pharaoh's Daughter, Raymonda. In 1930 she became one of the first Leningrad dancers to transfer successfully to Moscow's Bolshoi Theatre where she was to be the supreme classical dancer for the next 24 seasons. 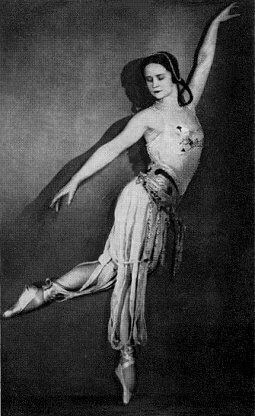 Here she refined her Leningrad heroines, adding several new classical heroines such as Giselle and Esmeralda but also including some of the new Soviet ballets to her repertoire: Mireille in Flames of Paris, Polina in Prisoner of the Caucasus, Queen of the Ball in Bronze Horseman and the title role in Mirandolina. She retired in 1954. Rarely for an artist under the Stalin regime she was given leave of absence to dance in Paris in 1935 where she performed Giselle with Serge Lifar with great success at the Opéra in addition to classical divertissements, notably the pas de deux from the Shades of La Bayadère. 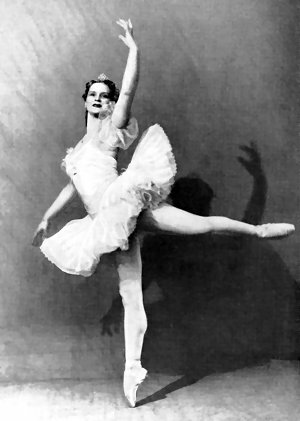 Semyonova's great contribution to the development of Russian classical ballet was in the scope and epic nature of her style in movement and the quiet grandeur and strength of the classical repertory. Sadly there is little well filmed material of her, which can adequately give an idea of the miracle of her stage appearance. She had a soft, feminine, somewhat distant quality, but one which had an immense appeal on the Moscow audiences. Even when visiting performances in her 90's the audiences regularly cheer her appearance in the theatre and present her with flowers. 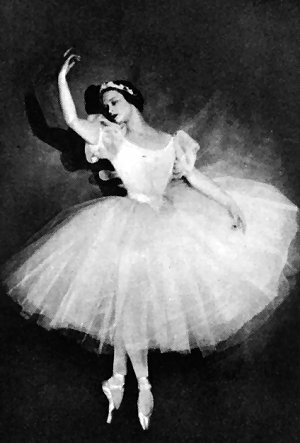 Since retiring from the stage she has been a central figure in the teaching of Ballet in Moscow. She was on the staff of the Choreographic School from 1954-60. One of her most important influences has been teaching of new ballet teachers at the GITIS institute in Moscow. But the most obvious continuation of her tradition can be seen in the long list of principal dancers at the Bolshoi Theatre who have been guided in their careers and prepared in principal roles by her. Natalia Bessmertnova, Marina Kondratieva, Nadezhda Pavlova, Nina Sorokina, Svetlana Adyrkhayaeva have all benefited from her experience. Of the most recent generations of Bolshoi dancers Nina Ananiashvili, Galina Stepanenko and Maria Alexandrova were among her charges. Marina Semyonova died on June 9, 2010. Text of Marina Semyonova Copyright © 2001 Geoff Whitlock. All rights reserved.